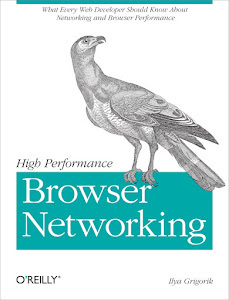 Book Summary 02: High Performance Browser Networking - Part3 (HTTP) ~ Ahmed AbouZaid! Last year I started to read this nice book "High Performance Browser Networking", which I really love its slogan "What every web developer should know about Networking and Browser Performance!". So I did part 1 summary first 4 chapters - Networking 101. Then I jumped to part 3 - HTTP, and I did highlight the important points to summaries it, but unfortunately I didn't have time to write it down. You have control over certain parts like server side stuff, but not the client or the network between both sides, so do your best on that area. Physics is always limited! The connection is limited by speed of light, distance between 2 sides, and the medium. Latency is a main player. Apart if physical limitations, you should always use latest pest practices of TCP and LTS. Work around the limitations of HTTP 1.x. Learn how to levarage new performance enhancements in HTTP 2.0. Vigilant about applying the evergreen performance best practices. Minimize number of HTTP redirects. Reduce roundtrip times (e.g. use CDN). Cache resources on the client. Parallelize request and response processing. Help the browser, it helps you. Try to provide a hints and don't hide resources to/from the browser (check Browser optimization section). Leverage HTTP pipelining - in case you have control over both sides client and server you can make it better. Apply domain sharding - split the resources over more than 1 domain to avoid http parallel connection limit. Bundle resources to reduce HTTP requests - less round trips means better performance, so make less requests. Inline small resources - no connections is better than less connections, so embedding small resources in the main document could save a lot of time. Best performance tweak for HTTP 1.x? Upgrade to HTTP 2.0! HTTP 2.0 optimizations. As you see, HTTP 1.x has a big issue with transport performance and which reflects on latency and throughput. Remove HTTP 1.x optimizations - surprise! All tweaks for HTTP 1.x are bad for HTTP 2.0, get rid of them! Minimize any bundling like image spriting, and JS files. Use server push and void inline resources, so you can get use of caching for all resources. Consolidate as many resources to a single domain.